The finalists for the DCD Datacenter Week Awards, due to take place in Hong Kong on November 10 has been announced at DCD>Zettastructure on September 21 in Singapore. 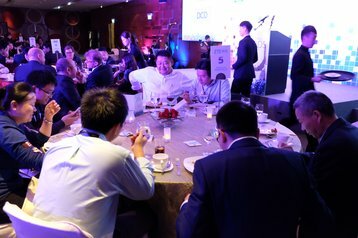 In conjunction with Hong Kong Datacenter Week 2017 and conference & expo DCD>Converged, the winners of each category will be revealed at a prestigious gala dinner at the Hong Kong Convention and Exhibition Centre. This year, the eight awards categories received an impressive number of entries from all over the APAC region including Australia, China, Hong Kong, India, Singapore, Indonesia, Korea, Malaysia and Philippines. Termed as the ‘Oscars’ of the data center industry, the DCD Datacenter Week Awards aim to recognise achievements and success in the APAC region as part of a unique global series that provides worldwide recognition to outstanding individuals, teams and projects through the rigorous judging of an independent panel of industry experts. Past winners and finalists include many of the world’s leading brands, recognized for their exceptional performance and contribution to the market. Interested in hosting your clients at a table at the Awards Gala? Contact apac.awards@datacenterdynamics.com for more information.